A waterfall cascades down from one of the valley's many streams. The Vallée de Mai is a UNESCO world heritage site located on the island of Praslin within the Seychelles. 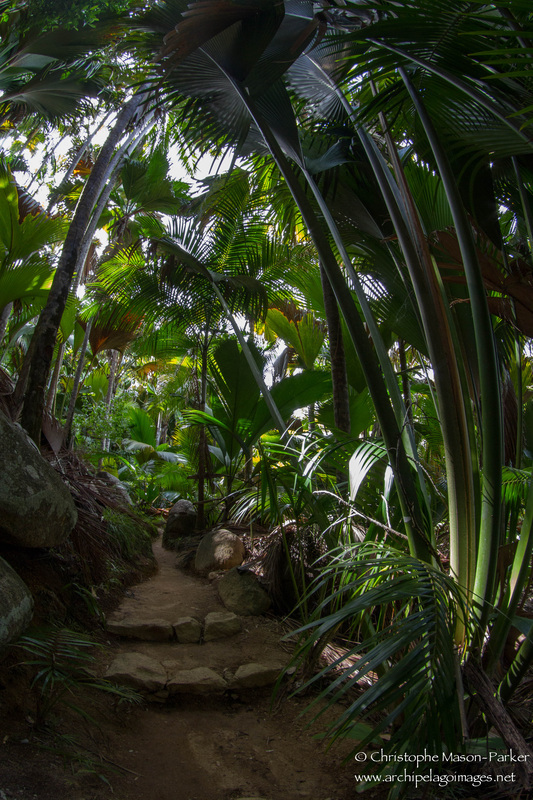 The ancient palm forest covers an area of 19 hectares and is managed by the Seychelles Islands Foundation. 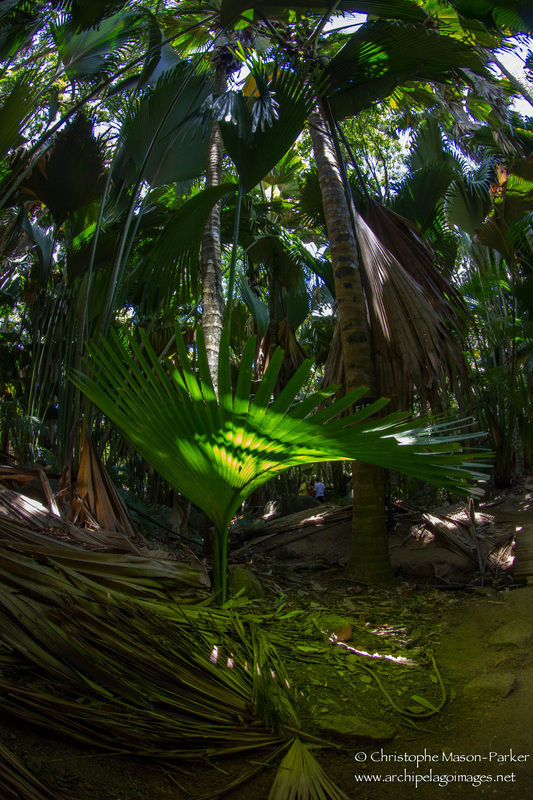 The Vallée is home to the Coco de Mer palm found only on Praslin and neighbouring Curieuse Island. The Coco de Mer (Lodoicea maldivica) dominates the forest, which is also home to five further endemic palm species. 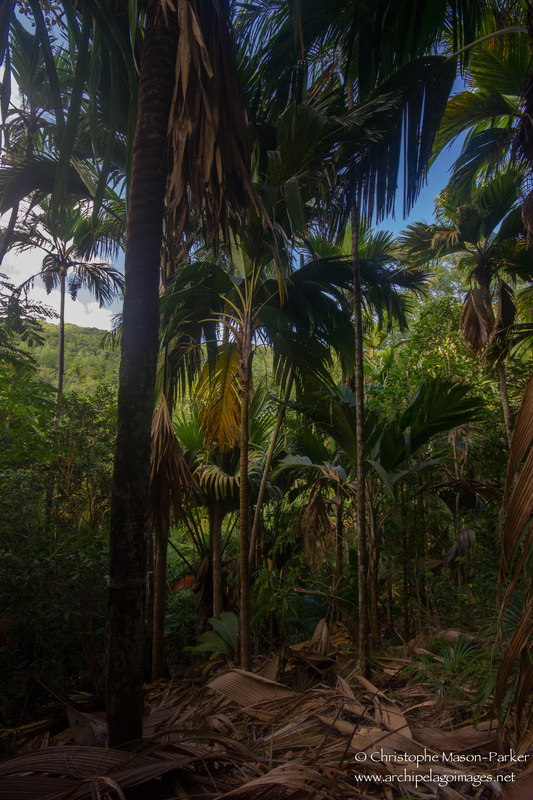 In addition to the numerous plant species the Vallée de Mai is home to several endemic animals including the Seychelles Black Parrot. This grey, medium sized parrot has a very limited breeding range and is confined to the island of Praslin with occasional sightings having been recorded on Curieuse. There remains fewer than 100 breeding pairs of the black parrot and the best opportunity to see them is in the Vallée where they can be found eating the fruits of endemic palms. A number of reptile species can also be found hiding amongst the dense foliage. 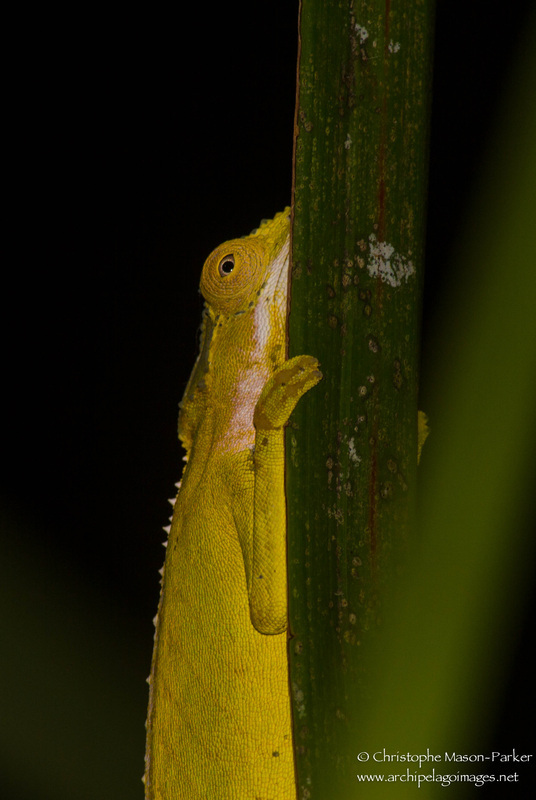 Chameleons venture out into the open at night where they can be seen clinging to the end of palm fronds. 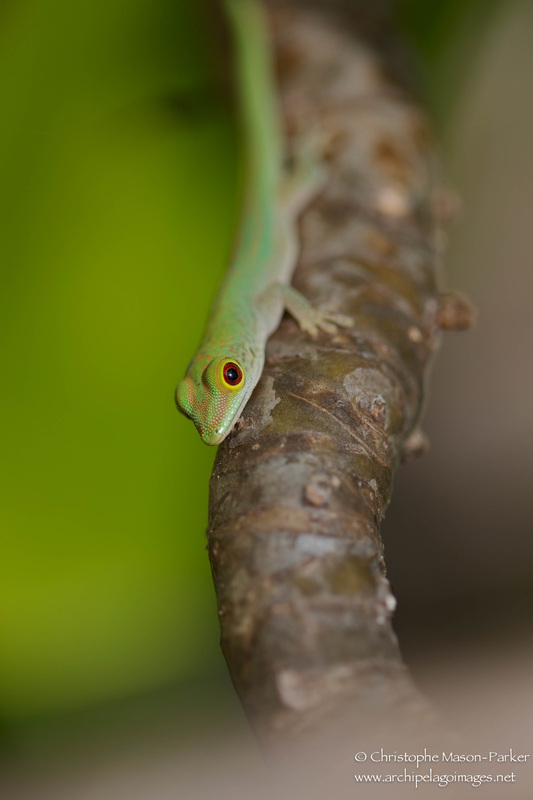 The Phelsuma geckos display a bright green coloration and are common throughout the forest.